Habitat: Ssp.sylvestris is a native of dry calcareous soils. 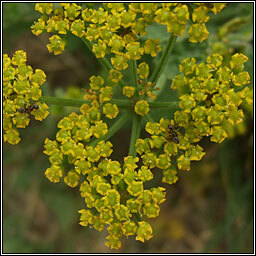 A hairy, strong-smelling plant with hollow, furrowed stems and umbels of yellow flowers with unequal rays. The flattened seeds have winged edges. Pinnate leaves with toothed, lobed segments. Height 60-120cm. 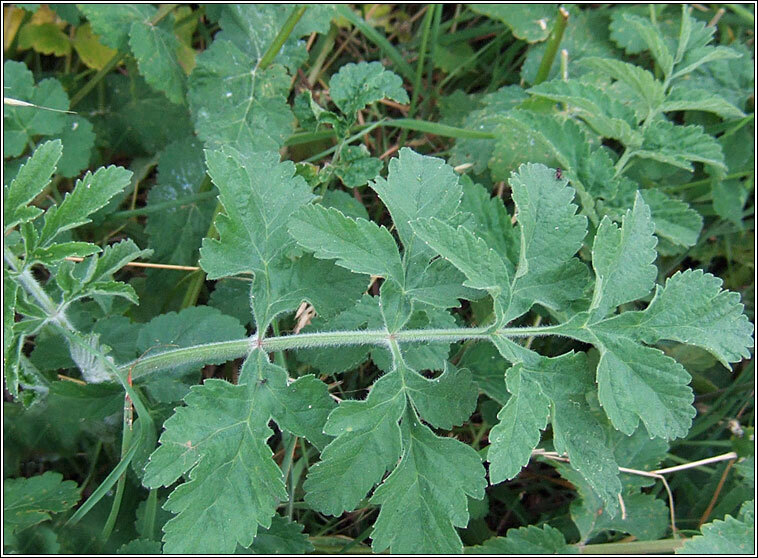 The sap can cause blisters due to increasing sensitivity to sunlight. 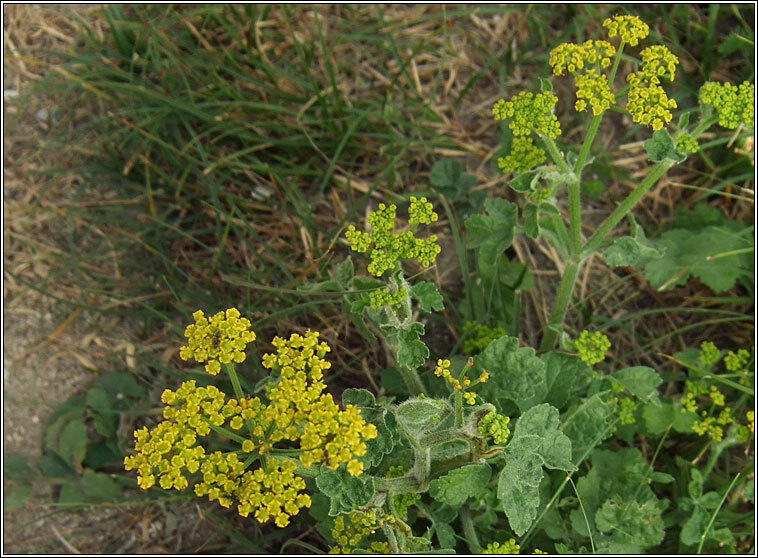 Similar: Cultivated Parsnip, Pastinaca sativa ssp.sativa can occur as a garden escape on waste ground and roadsides.